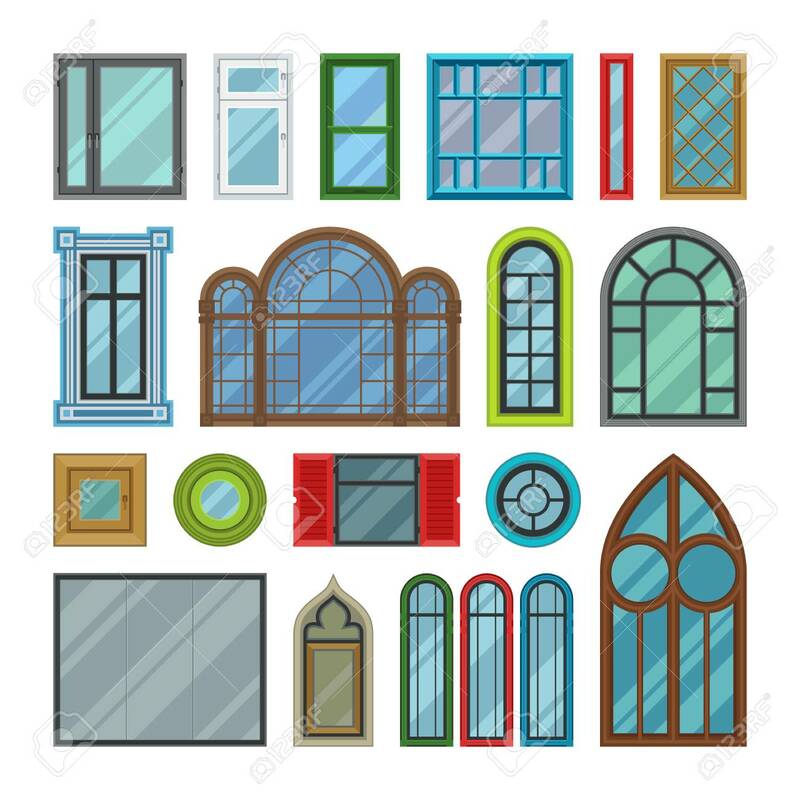 Different Types House Windows Vector Elements Isolated On White Background. Windows Elements Flat Vector Style. Vector Windows Frames. Windows Isolated On White Royalty Free Klipartlar, Vektör Çizimler Ve Stok Çizim. Image 62297784.